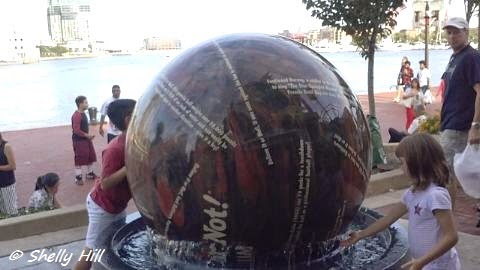 A few weeks ago we went down to Baltimore Inner Harbor and had a great time. 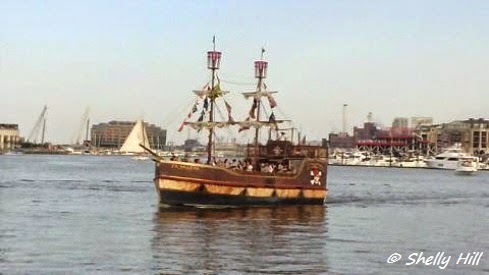 We had been to Baltimore several times in the past but never for any overnight trips. Usually, we just drive down for the day, do what we want to do and return back home. 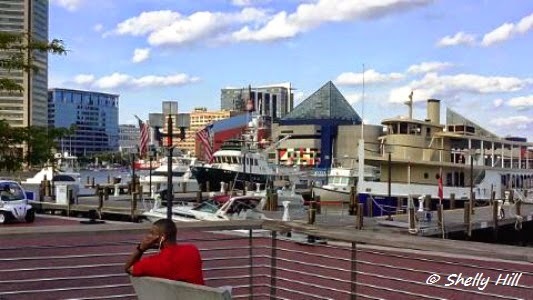 This time around, we stayed for several days to see many of the sights and sounds that Inner Harbor has to offer. On one particular afternoon we decided to pay the Ripley's Believe It or Not Museum a visit. We love visiting museums and this really caught our interest since it features the wild, wacky and strange things from all over the world. Oh...and gross things too! Admission was a lot more than we wanted to pay...but we did go in. They actually have a a few different things that you can do while visiting, including a very cool Mirror Maze which costs an additional fee. We spent about 2 hours at Ripley's Believe It or Not and had a really great time. Hubby loved viewing the car they had on display that was made out of wood. Super cool. On another afternoon we just spent time down on the waterfront in Inner Harbor walking around and shopping at many of the stores that you find there. On the day we visited, it wasn't overly crowded and the weather was beautiful. Needless to say, by the time we got back to our hotel room, hubby was tuckered out from carrying all of my shopping bags! If you are looking to just relax in the great outdoors and near the water...there are many places to sit. We found a great bench in a very scenic location and sat there for quite a bit watching various boats come and go. It was really cool to see them all and some of them were pretty wild looking like this "Pirate" boat shown in the photograph above. On another particular day we visited the National Aquarium at Inner Harbor and that was fantastic! It was one of our highlights from our trip. The National Aquarium houses over 17,000 aquatic animals and you can see many of them up close & personal. You can buy your tickets online or at the door and we highly recommend that you visit when visiting the great city of Baltimore. 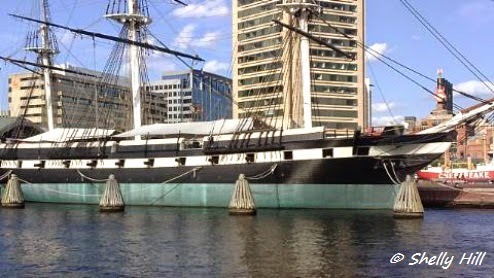 Located at Pier 3 and at Pier 5 you will find the fabulous Baltimore Maritime Museum which is really cool if you enjoy learning about maritime history. We had great fun checking that out while we were there. Nearby Inner Harbor is the famous Camden Yards where you can take in a Baltimore Orioles baseball game. 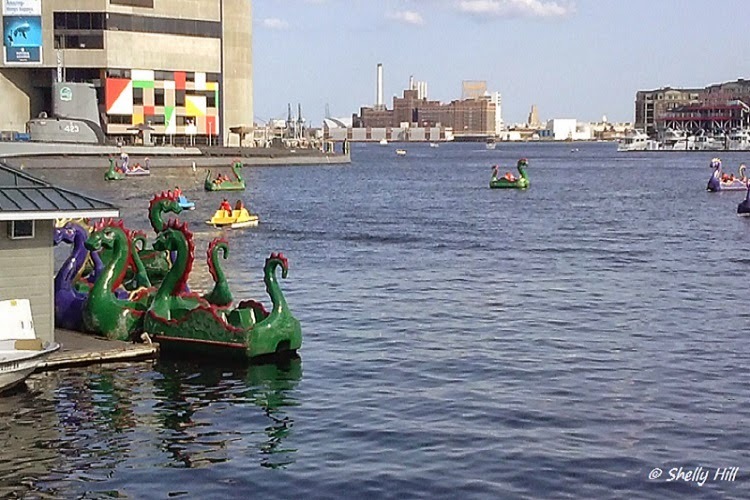 It is within walking distance of Inner Harbor and is a lot of fun. While there you can check out the Baltimore Orioles Hall of Fame and the Babe Ruth Birthplace and Museum. These are just some of the activities that we got to enjoy during our recent trip down to Baltimore Inner Harbor and we will definitely be visiting again. There is a ton of things to see & do as a couple on a romantic trip or as a family outing.